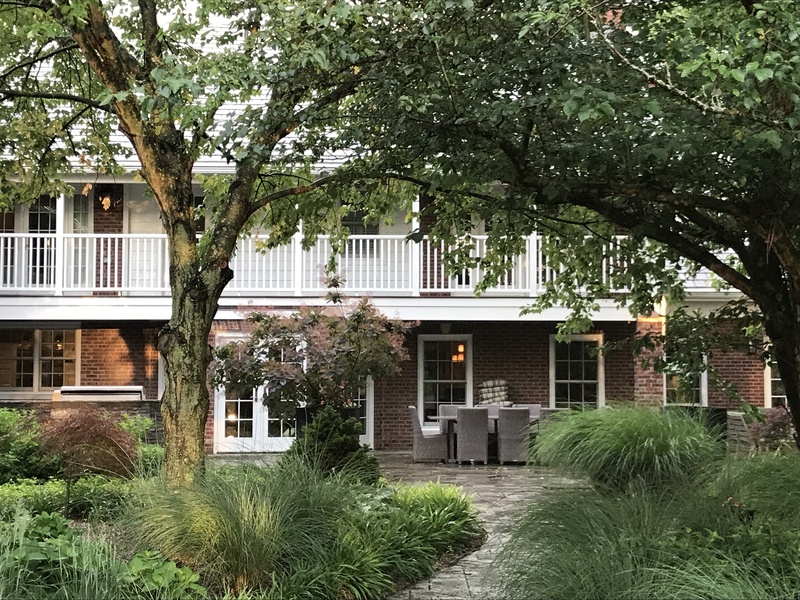 Eighth Pole Inn: A really stunning B&B Inn in the middle of the horse country in Lexington close to Keeneland. The rooms are lovely as well as the living room, dining room for breakfast and outdoor patio. I am so glad I stayed here as it was an easy drive downtown as well as to Frankfort, Midway, and some of the best bourbon distilleries. Besides, I loved looking out the window of my room and seeing horses in the fields surrounding the inn. 3463 Rosalie Rd. 21c Hotel: One of my favorite boutique hotel chains has had a property since 2016 in downtown Lexington in the former Fayette National Bank Building that is over 100 years old. I have stayed in their hotels in Louisville, Nashville and Bentonville, AR. It is like staying in a contemporary art museum with more than 7,000 sq. ft. of exhibition space. They feature solo and group art shows throughout the year. The rooms are contemporary and also feature unique art. Their restaurant, Lockbox, is a great place to eat. I had a really excellent meal with a wonderful beet salad with a garlic pesto, strawberries and hazelnuts and tagliatelle pasta entree with braised rabbit, dried carrots, wild mushrooms and English peas. 167 W. Main.